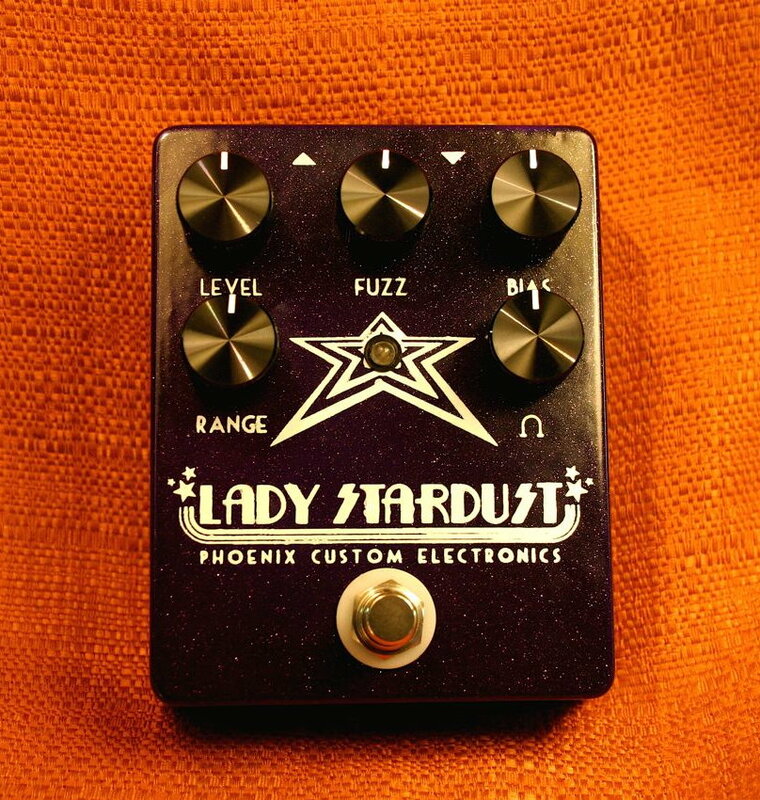 The Lady Stardust is our favorite Fuzz! Nels Cline of Wilco fame owns two. This pedal is based on the Vox Tonebender which is one of the first fuzzes ever produced, and was probably the basis for the famous Dallas Fuzz Face. Our version has the Phoenix Range control which allows you to dial in classic bright Vox Fuzz tones or blend in a larger output cap for progressively more bass response. Try it through a cranked Marshall with a Les Paul and it’s Mick Ronson all the way! This is a very versatile killer germanium fuzz pedal that will not disappoint. John Stewart and Prescott Kagan aided greatly in the design of this product.